The Kintetsu Nagoya Line runs between Kintetsu Nagoya Station and Ise-Nakagawa Station in Matsusaka City. 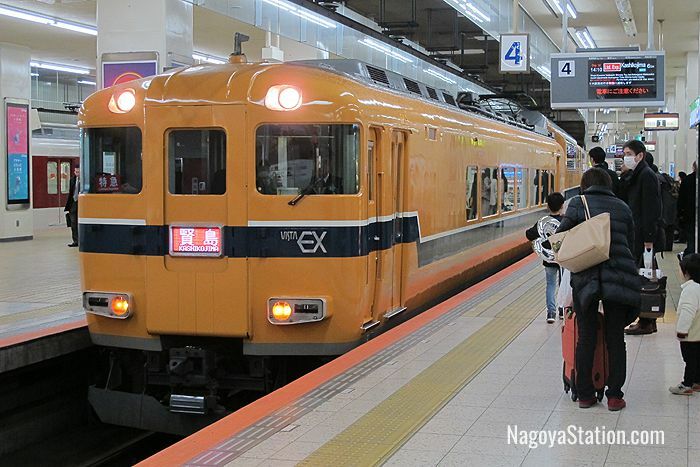 It is an important rail link between Nagoya and several cities along the Ise peninsula. Limited Express through services from Nagoya also operate via this line to a range of major destinations including Nara, Kyoto, Osaka-Namba, and the Ise-Shima region. Kintetsu is a private railway company, so none of these services are covered by the Japan Rail Pass. Kintetsu Nagoya Station is an underground station located in the B1 basement level of the Kintetsu Pass’e department store. It can be easily accessed on the south east Sakura Dori side of JR Nagoya Station and it is also close to Meitetsu Nagoya Station. Local trains depart from Platform 1, Express and Semi-Express trains depart from platforms 2 and 3, and Limited Express trains depart from platforms 4 and 5. There are 44 stations on the Kintetsu Nagoya Line. Below are the key destinations and transfer points with example fares and travel times given from Nagoya. Transfer here to the Kansai Main Line and the Higashiyama Subway Line. Transfer here to the Kansai Main Line and the Meitetsu Bisai Line. Transfer here to the Kansai Main Line, Yoro Railway’s Yoro Line, and Sangi Railway’s Hokusei Line. Kuwana’s top attractions are Nagashima Spa Land and the Meiji era Rokkaen house and garden. You can also you can take the private Yoro Railway to the nearby town of Tado. Tado’s attractions include Tado Taisha Shrine which is famous for holding a horse jumping festival every May 4th and 5th. From the shrine you can a hike up the 403 meter tall Mount Tado. Transfer here to Sangi Railway’s Sangi Line. Transfer at the nearby JR Tomida Station to the Kansai Main Line. Transfer here to the Kintetsu Yunoyama Line, and the Yokkaichi Asunarou Railway Utsube Line. Transfer by bus to the nearby JR Yokkaichi Station for the Kansai Main Line. Yokkaichi is not a sightseeing city, but it does hold a big summer festival every August called Dai-Yokkaichi which features parades of giant mechanical dolls, dancing and drumming. Transfer here to the Kintetsu Suzuka Line. Transfer here to the JR Kisei Main Line and Ise Railway’s Ise Line. Tsu is the capital city of Mie Prefecture and has a number of cultural attractions. The Mie Prefectural Museum called “MieMu” for short opened in 2014 and has exhibits dedicated to Mie’s history and natural history. Its most impressive exhibit is the fossilized skeleton of a prehistoric elephant, found in Mie, called the Stegodon Miensis. Mie Prefectural Art Museum has a fine collection of Japanese art dating from the Edo period to the modern day and foreign works by Claude Monet, Auguste Renoir, Marc Chagall, Francisco de Goya, and Salvador Dalí. The site of Tsu Castle’s remains is a popular public park known for its cherry blossoms in the spring. The castle was originally built in 1558, and a castle tower was reconstructed in the park in 1958. Tsu Festival takes place in October and features costume parades and a unusual dance called toujin odori that dates back to 1632. Transfer here to the Kintetsu Osaka Line, and the Kintetsu Yamada Line. Ise-Nakagawa Station serves the city of Matsusaka which is famous for indigo blue cotton, traditional green tea, and Matsusaka beef. 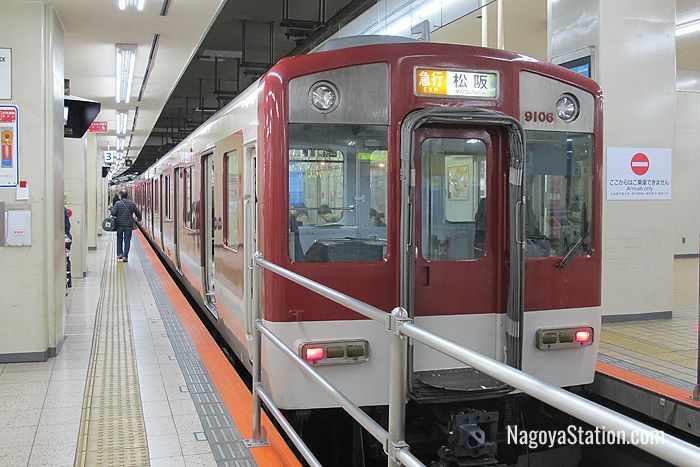 To reach the center of the city take a 6 minute ride on the Kintetsu Yamada Line to Matsusaka Station. This station is closer to Matsusaka Castle, and other tourist locations such as the cultural museums in the castle grounds, and the preserved Edo era Castle Guard Residences. Sakakibara Onsen hot spring resort is also nearby. To get there from Ise-Nakagawa Station take a 13 minute train ride on the Kintetsu Osaka Line to Sakakibara-Onsenguchi Station. A range of Limited Express rapid through services connect Kintetsu Nagoya Station to several major locations in western Japan. Here are the details with example journey times and fares that include the Limited Express fee. 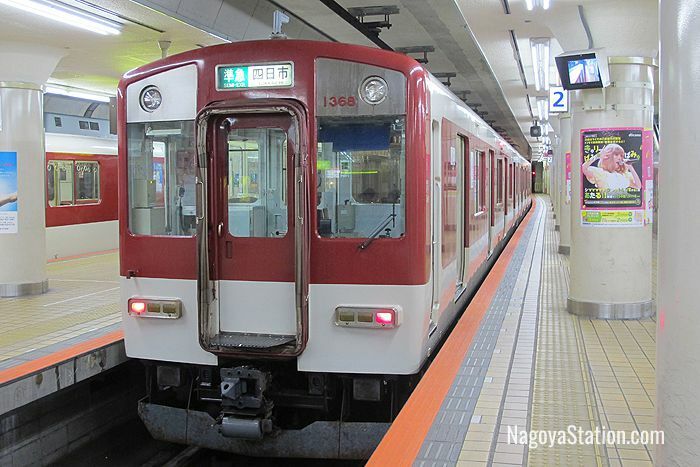 Kintetsu Nara Station can be reached in 155 minutes with one transfer for a fare of 3,860 yen. Kintetsu Kyoto Station can be reached in 165 minutes with one transfer for a fare of 4,490 yen. 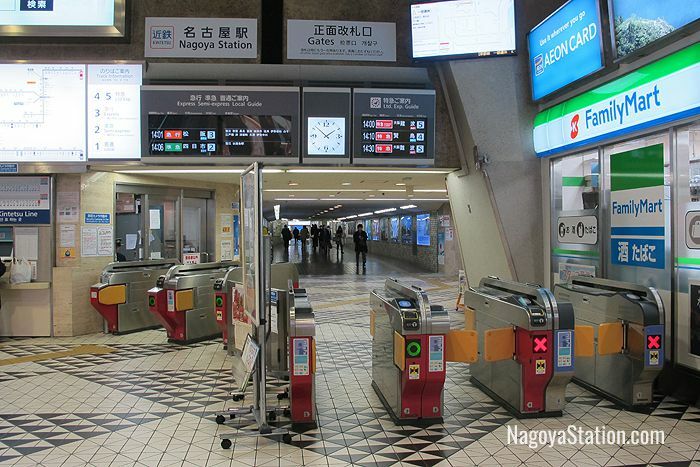 Osaka-Namba Station can be reached in 125 minutes for a fare of 4,260 yen. 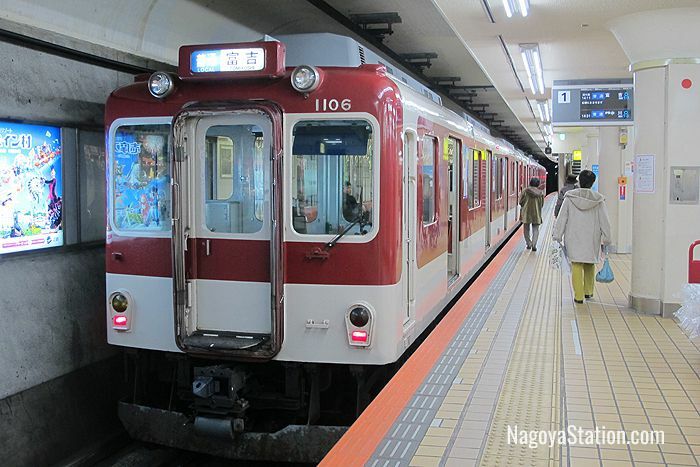 Ujiyamada Station can be reached in 85 minutes for a fare of 1,770 yen. This station is located in the city of Ise and is the closest station to the outer shrine of Ise Jingu. Kashikojima Station can be reached in 125 minutes for a fare of 3,580 yen. Kashikojima Station serves the city of Shima which is a seaside resort on the scenic Ago Bay in Mie Prefecture. Tickets can be bought from ticket vending machines or from a ticket counter. 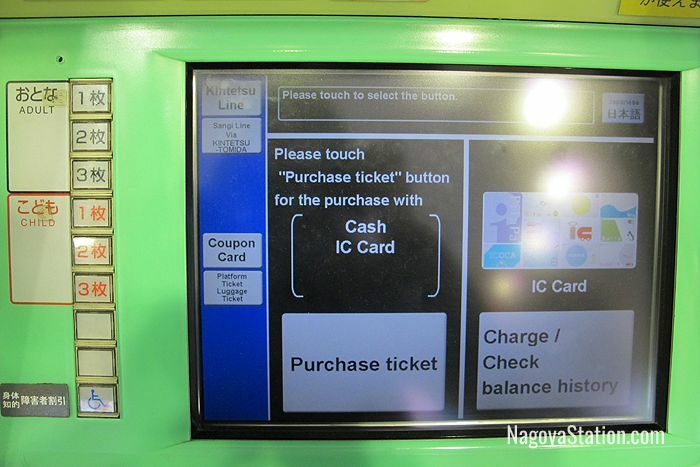 Ticket machines have English guidance and are easy to use. First use the route map above the ticket machines to check your fare. Then put your money into the machine and choose the appropriate fare button. You can then collect your ticket and any change and pass through the ticket gates. These machines also accept commonly used IC prepaid cards such as MANACA, ICOCA, and SUICA. 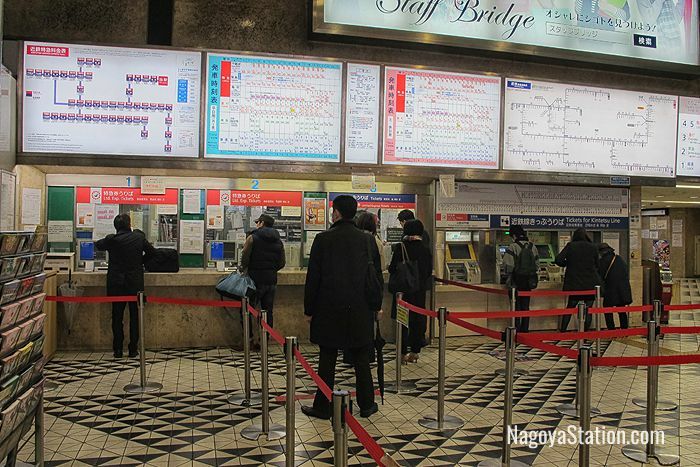 Buying a ticket for a Kintetsu Limited Express train can be a little complicated, so we recommend buying it at a ticket counter. Although Kintetsu Railway is not covered by the Japan Rail Pass, there are a variety of discount passes for the Kintetsu Railway which can be used to visit Nara, Kyoto, Osaka and other destinations in the Kansai region. For details visit the official Kintetsu Railway website.